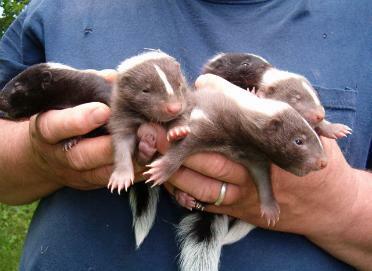 Mom with a litter of five. 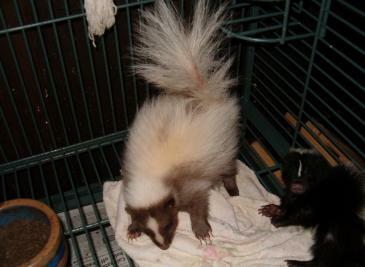 This is a smoke colored skunk, some times reffered to as champange or lavender! 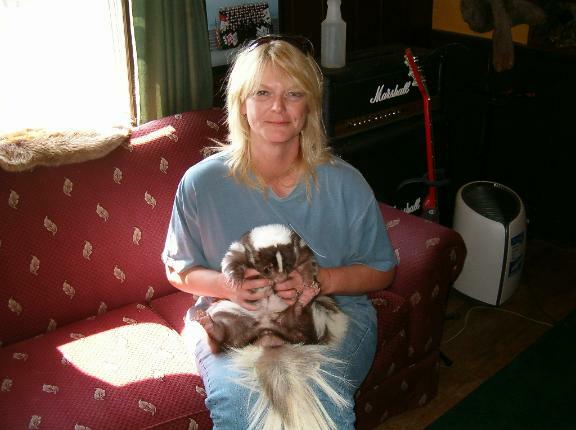 Here is a happy customer with her beautiful chocolate chip skunk. 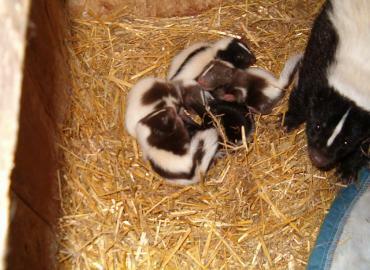 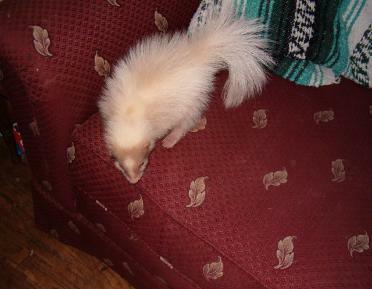 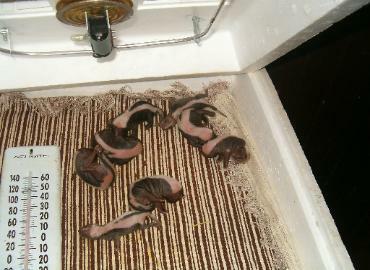 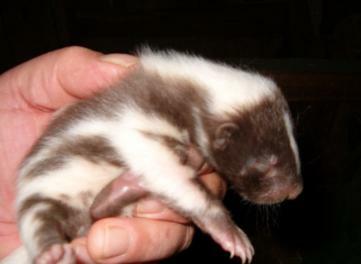 Below is the same skunk as a baby! 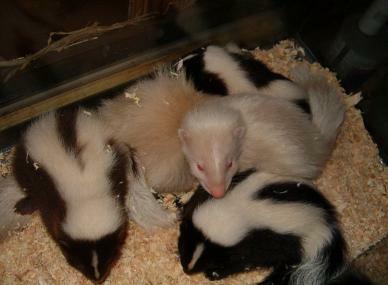 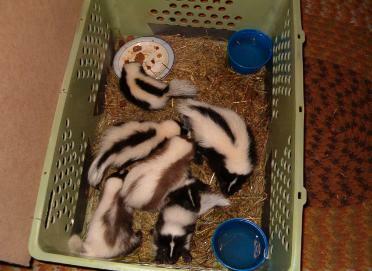 CLICK HERE TO LEARN ABOUT KEEPING SKUNKS AS PETS!